Galway East deputy Seán Canney has this week highlighted the need for Irish Water to take charge of private group wastewater treatment plants throughout the country as the current impasse in terms of such plants is blocking the building of housing in towns all across the country. He said it has been clear for some time that the manner in which private wastewater schemes operate is entirely unsatisfactory where ultimate responsibility for operating and maintaining them is haphazard and without any clear direct public policy or funding provision overview. “Galway County Council is no longer granting planning permission where there are private wastewater treatment plants, creating a situation where no houses, other than one-off houses with septic tanks, can be built within the town boundaries. “Currently, there is a complete reliance on residents of such housing estates to pay for the running costs of such schemes as well as having to provide a sinking fund to future finance replacement parts,” he sauid. He added that County Galway has many private wastewater schemes, numbering up to 100, directly affected. “I am convinced, due to a lack of management and maintenance in the operation of many of these schemes, that they are a pollution risk. This is a matter of grave urgency and must be part of the forthcoming discussions on the future of any Irish Water charging regime. “Very often, what has become the normal course of practice in the taking-in-charge of housing estates is for local authorities to put a recommendation before councillors for the taking-in-charge of all public infrastructure including roads, footpaths, public lighting and open spaces, with the exception of the wastewater treatment plant. “Irish Water has not accepted any responsibility for the taking-in-charge of these schemes.This has led to a situation, particularly since the housing crash, of many private estates being left with no clear funding provision for operating and maintaining wastewater treatment plants.”What is urgently required is the setting up of group wastewater schemes in towns to provide for a wastewater treatment system that links with those housing estates that require the service. It would be hoped that such schemes will be of such standard that they can be taken over by Irish Water. 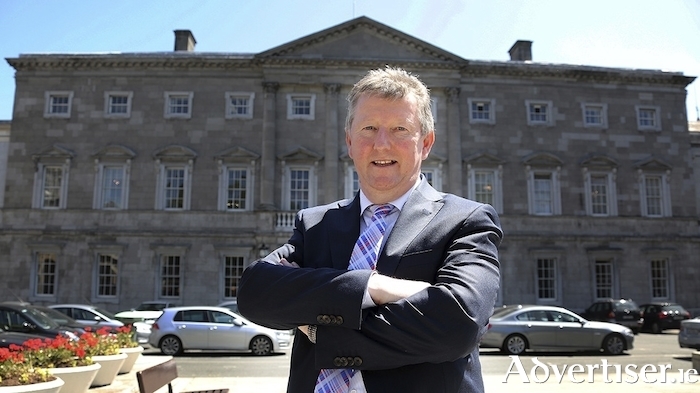 “It is essential that steps are now taken by the Department to address the deficit in the funding provisions for private wastewater schemes and to put a plan in place, rather than face an unprecedented situation where there would be a serious risk both to public health and the environment due to the potential contamination of our water supplies,” he concluded.